We are excited to announce our very first 49ers exclusive sports event at the new Levi’s Stadium. 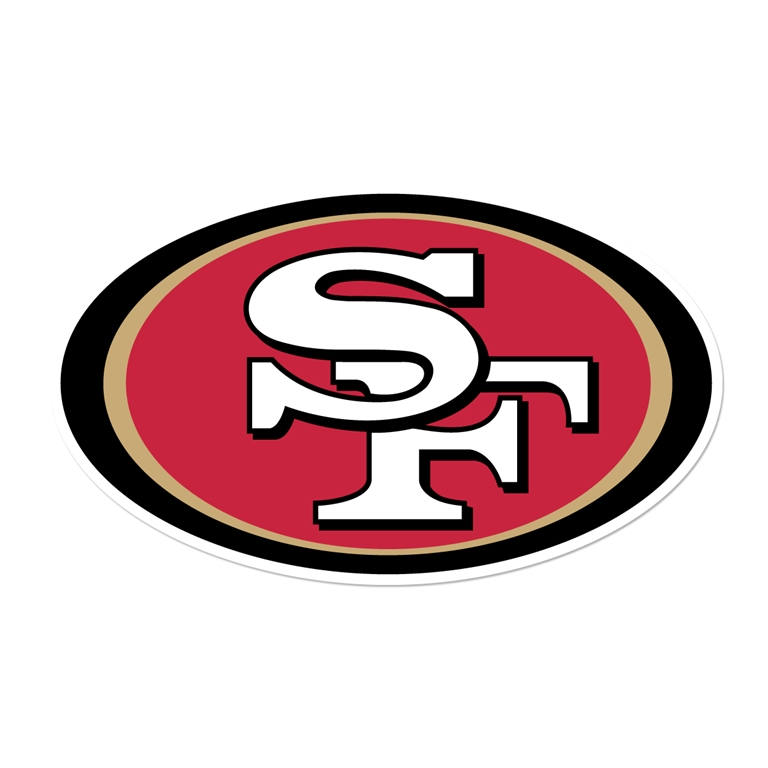 On Sunday, December 17th, the 49ers are hosting us for a special private event for HBS Association of Northern California and Harvard Club of San Francisco members-only. Al Guido, President of the 49ers, is giving a pre-game talk at 10am in the 49ers Museum inside Levi's Stadium. Then we'll enjoy a tailgate with beer, wine, and all-inclusive food (includes hot breakfast bar, carving station, seafood, pizza, pasta, grill, and dessert). The 1:25pm game will be in lower level seats against the Tennessee Titans. This is a family-friendly event as well as all HBSA/NC and HCSF alumni. Refunds prior to dead subject to $5 processing fee. Al Guido was named President of the San Francisco 49ers on February 15, 2016. Guido oversees all key business initiatives for the team. Prior to being named President, Guido served as the team’s chief operating officer from 2014 to 2016. Under his direction, the construction and year-one operations of Levi’s Stadium exceeded all projections – finishing under budget on construction, with lower public debt than expected, delivering $2.8 million to the City of Santa Clara general fund from non-event revenue in just the first eight months of operations, and fully funding reserve cash balances for the Santa Clara Stadium Authority. For the past several years we have hosted exclusive events with the Warriors, Giants, Earthquakes, A's, Sharks, 49ers, and Raiders. I am a venture capitalist at Norwest Venture Partners focusing on business software, but started my career in the sports industry. While at HBS, I worked for the NFL and Major League Baseball and then also began organizing events for both sports beginners and old sports fans. It was during this time that I realized the power of the sports industry from a business standpoint, but from a social perspective as well. My events have included dyed-in-the wool sports fans, but also those who are interested in visionary leadership, crowd-watching or simply spending time with a dynamic group of people and making lasting friendships here in the Bay Area. Today, we host about six events each year. Our group of HBS alumni and their friends and family from across the world, have made a positive impression on the teams. Each season, we are welcomed back and get to enjoy a collegial friendship that would not be available to us otherwise. Many consider our group a highlight of the being an HBS alumnus here in the Bay Area. If you haven't attended our events in the past, we hope you do this sometime soon. Feel free to email me at sjacobsohn@gmail.com and I'll add you to our email list to give you early access to sign-up for upcoming sports events prior to promotion. "These are my favorite HBS alumni events. Meeting sports team execs is like an active HBS case study, and I get to have a great time with alumni in a casual setting. For example, I learned the true story about the Oakland A's effort to build a new stadium. Then, there was witnessing Warriors as they were building a championship team and business machine. It's fun doing this while bringing a family member, friend or business contact." 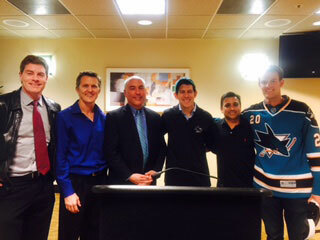 "Sports-related events organized by HBSANC are unique, can't miss experiences which bring you up close and personal with the executives who run local sports franchises and provide the full luxury box treatment." 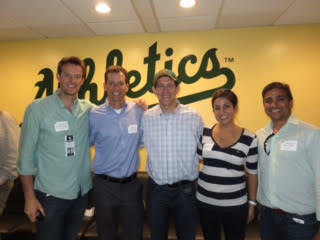 "We had a wonderful time at the HBS event at the Giants game at AT&T park. It was great to catch up with HBS friends, make some new ones, and get some "behind the scenes scoop" from the Giants' GM and management team. All around, it was a great evening." "I find the quality of the HBS sports events to be top notch. They are always well-run, valuable and fun. It is great to have the networking and the insider perspective from a speaker while watching one of our beloved Bay Area teams play." "The HBSNC Sports Events prove why the HBS MBA is so valuable. They offer an incredible opportunity that isn't available elsewhere to hear directly from the management of the teams. The HBSNC Sports Events are a highlight of my year. Attendees receive unparalleled access to the management of the teams while also getting to catch up with lifelong friends."